For non-winter bike camping adventures, a lightweight down sleeping bag like the Robens Lite 300 can be a good compromise, offering more warmth for its weight and size than a bag with synthetic insulation. The Lite 300 is designed with lightweight campers and fast movers in mind. It has an 80/20 high quality duck down filling in the nylon ripstop fabric, a box wall construction to minimize cold spots and keep insulation where you need it, soft elastication across the torso to draw the insulation around the body, and is a mummy shape with a hood. There's a press stud to keep the zip closed, and a zipped pocket on the front of the sleeping bag to keep small valuables at hand and it has a loop for hanging it out to air. Rated for comfort down to 9 degrees for women and 5 degrees for men, it's not as warm as the Deuter sleeping bag we reviewed previously, but it's still suitable for most of the conditions where you'd consider camping, and certainly should prove warm enough for summer time use. The down side of, er, down, is that it doesn't work too well in wet conditions, that being the trade off with the heavier synthetic bags. However, there are plenty of waterproof stuff sacks available that you could transport your sleeping bag in, it's just a case of keeping the bag away from the sides of the tent and too much condensation or moisture when in use. At 195cm long, it's suitable for all but the tallest, while there's a pretty good amount of shoulder width in the top of the bag. The elastication across the torso means even smaller-framed sleepers are cocooned properly, maximizing the warmth offered by the bag. In use it wasn't the toastiest bag out there, but was fine for warm weather camping in the UK, and with the addition of a liner (recommended with down sleeping bags anyway) was very comfortable indeed. The company do offer other warmer bags with increasing weights and packsizes. 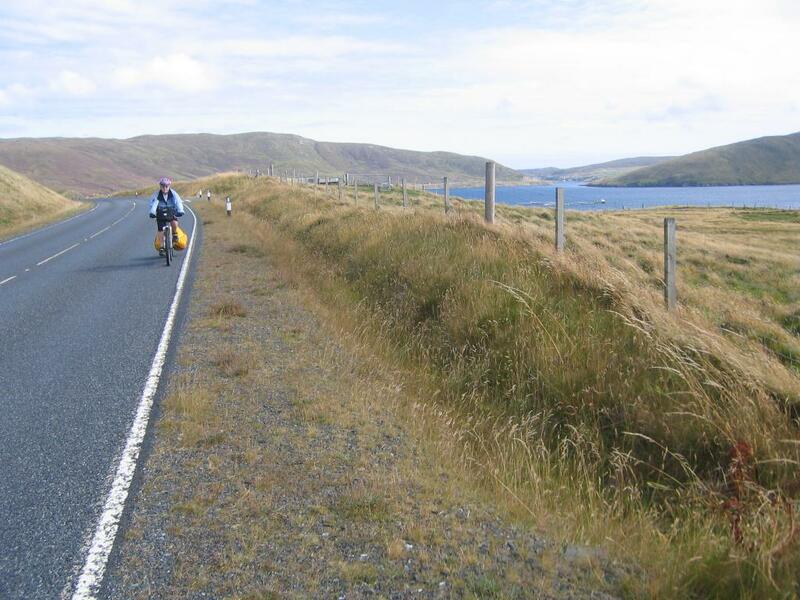 The packsize is great (31cm long x 18cm diameter), with a compression stuff sack to cinch down really small, spot on for slipping into a pannier with no worries, and the weight is excellent at just 950g. There aren't too many companies offering a sleeping bag this light, this warm and with this sort of small packsize and low weight, especially at this price, so it's hard to fault the performance being offered for just over £100. For reliable summer camping, it's a safe investment. A safe investment for summer cycle camping tours. Compact and lightweight. 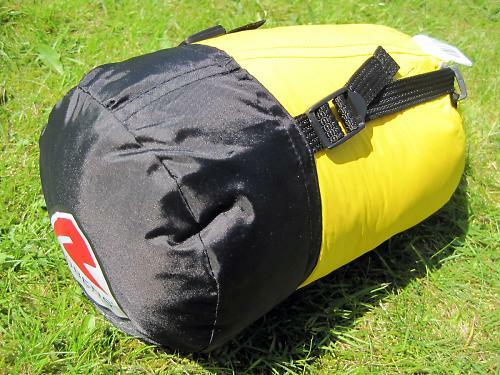 Aimed at "fast moving outdoor adventurers and lightweight campers"
Good option for cycle campers for summer use. Available with left or right hand zip for zipping together if desired. Well made, with excellent high quality components such as YKK zips. Compact packsize, decent levels of warmth and easy to use. Should last well as long as looked after carefully and using specialist cleaner as necessary. A safe investment and good warmth for the weight and packsize, but just a little heavier and less warm than the competition for the same price. Performed very well as a lightweight, packable summer sleeping bag. Would you consider buying the product? Yes, probably. Lightweight and compact, with a decent level of warmth for its size. 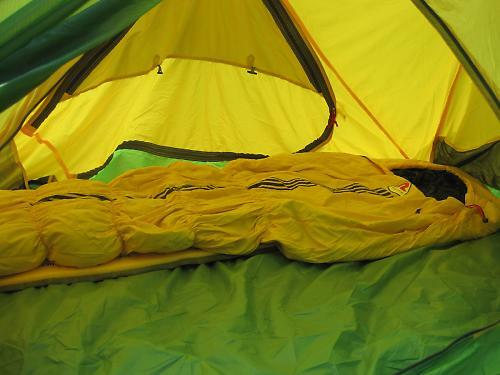 Great for cycle camping as long as you're not a cold sleeper. I'm intrigued at the difference in the comfort rating for men and women. How do they calculate this and why? The difference is based on the assumption that women sleep "colder" than men, which is for the most part born out in reality. Not sure how they calculate it though. The temperature rating system for sleeping bags is all standardized for all manufacturers but it's a bit of a black art really. It's all explained quite clearly here.